The Libanon-based gold and platinum producer said the rand gold price slipped 14% compared to the year-ago quarter due to a 16% appreciation in the rand against the dollar, between Q1 2016 and Q1 2017. That caused the company's operating margin for its gold division to fall from 38% to 18%. Meanwhile gold production was dented by about 30,000 ounces due to the closure of Cooke 4 shaft at the Cooke underground mine in Gauteng province. 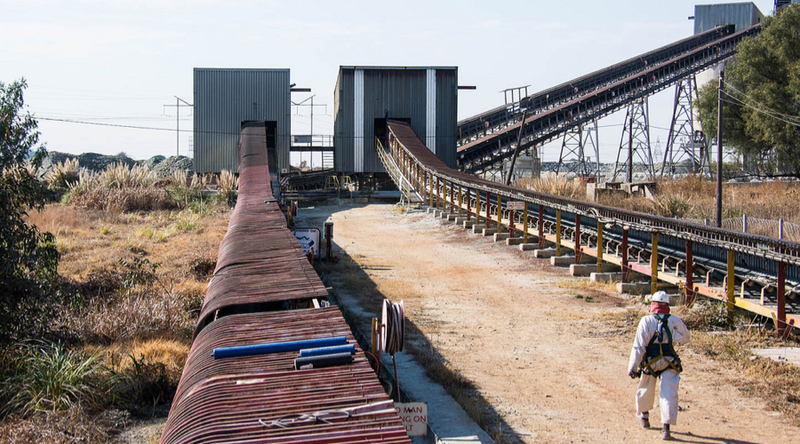 Lower grades at the Kloof mine and reduction in throughput at its Driefontein mine contributed to all-in-sustaining costs growing to R493,872/kg from R454,282/kg. “The continuous operational under-performance of Beatrix 4 shaft and the Cooke underground operations is currently under review,” the company said in its Q1 2017 report. The challenges in its gold division were somewhat offset by improvements at its platinum operations. Sibanye said Rustenburg Platinum and Aquarius Platinum doubled the division's operating profit to R243m from R114.4m, comparing Q1 2016 and 2017 Q1s. It also said Rustenburg Platinum's unit operating costs dropped by 12%. However investors were not impressed enough to keep the stock in the black. At end of trading Thursday, SBGL was down 4.36% to close at $7.45 a share in New York. In December Sibanye Gold bought Stillwater Mining, the only U.S. platinum producer, in a cash deal worth $2.2 billion. Sibanye, the biggest gold producer in South Africa, spent most of 2016 shopping for new mines, particularly in the platinum sector. In 2015, it made its first incursion in the market by acquiring Aquarius Platinum and three Anglo American Platinum mines.